You need to understand German company accounts for a German lawsuit? In order to win a business or corporate law suit, understanding the numbers is often equally important as knowing the legal aspects of the case. The same is true if you plan to acquire a German business. Thus, the German-British litigation lawyers as well as the M&A experts at Graf & Partners (www.grafegal.com) regularly team up with German forensic accountant Hermann Werle. 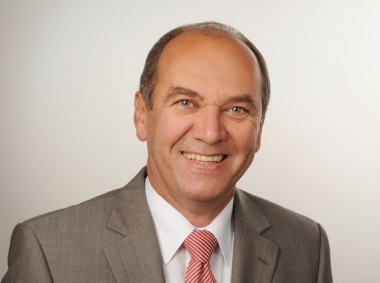 Hermann obtained his degree in business administration from Regensburg UAS in 1982. Throughout his 25 year career he then worked as inhouse accountant, head of controlling, CFO and company director / CEO for renowned German and international companies and was involved in a number of mergers including Mallinckrodt, Sherwood Davis & Geck and U.S.-Surgical. Thus, Hermann gained a wealth of professional experience in various industrial sectors. While his core competence is finance, he also has practical experience in HR, IT, purchasing, warehousing and distribution. We have worked with Hermann Werle on dozens of business litigation cases as well as international mergers. Our German as well as our international clients have always been extremely impressed by his skills, in particular his ability to break down and explain the most complex situations to non-accountants, i.e. to litigation lawyers and judges. Does German Law of Torts know the Egg Shell Skull Rule? How expensive is a German Lawsuit? Checklist: Formation of a German Company. And then what? Since 2003, the German business and corporate law firm Graf Partners LLP specialises in British-German and US-German legal cases. 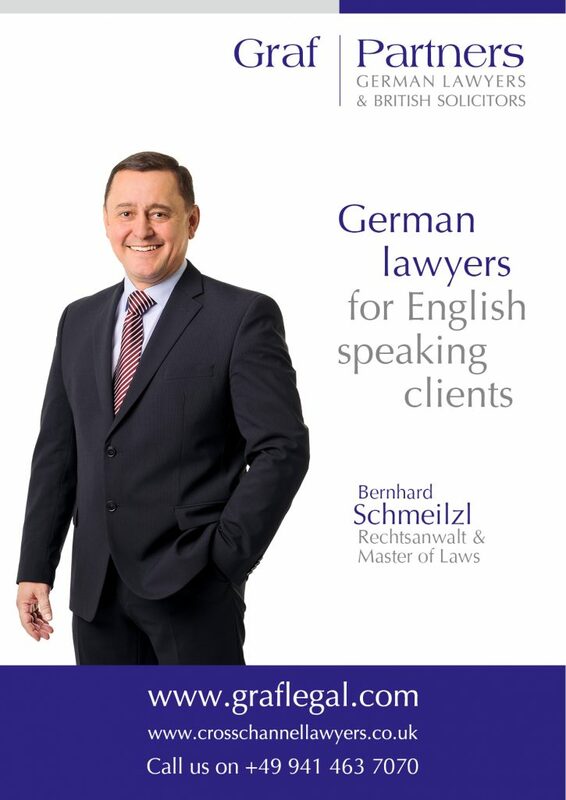 Our German business and corporate lawyers are native speaker level fluent in English, have many years of practical experience with clients from Britiain and the USA and are part of a well established network of law, tax and accounting firms. Managing partner Bernhard Schmeilzl was admitted as German Rechtsanwalt (attorney at law) to the Munich Bar in 2001 and specialises in international cases ever since, with a focus on German-American and German-English commercial, corporate and also probate cases. In addition to obtaining his German legal exams with distinction, he also graduated from the English University of Leicester where he obtained his Master of Laws degree in EU Commercial Law in 2003. In 2014, Graf Partners LLP has set up the international litigation department GP Chambers which focuses on providing professional litigation services to British and US-American clients, both on a commercial and a private client level. The Graf Partners litigation lawyers regularly appear before German law Courts throughout the country and provide specialist legal advice, support and advocacy services in all commercial and civil law matters, ranging from contract disputes, corporate litigation and employment, to damage claims, divorces and contentious probate. If you wish us to advise or represent you in a German or cross border case, or if you need an expert report on German law, please call +49 941 463 7070.